Computers need fans inside the case to keep all the electrical components cool. If they overheat your computer will stop working and it can even destroy the hardware you have installed. 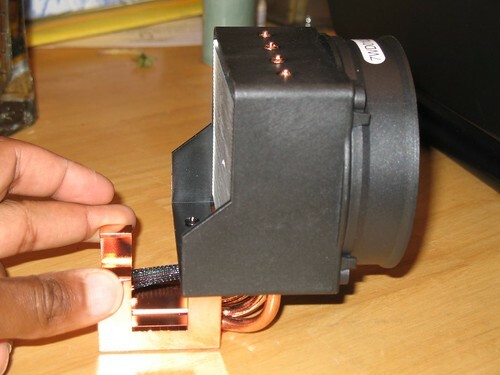 Replacing a defective fan can mean the difference between a small expense and replacing the whole computer. You do need to be careful and pay attention to detail when replacing a computer fan. The first thing you need to do is determine what size fan you have in your computer case. You will want to replace it with a fan that is the same size, this does not mean that you cannot get a fan that is a little more powerful, but the measurements need to be the same so that it can be mounted in the same spot inside the case. Some computers come with more than one fan or slots where you can add more fans if you find that you need them for cooling. For instance the case I am using right now has three fans installed in it. This could be a good idea if you live in an area where you get consistent high temperatures, or if the room you have your computer set up in gets very warm. You will want the fans to face outward, in other words you want them to function as exhaust fans, pulling the built up heat out of your case. If you mount them blowing inwards you risk the air they produce moving wires around and possibly damaging the circuits inside the case. Once you have the fan you need to install, remove all power from the case and if necessary, move it out to an area where you have room to work on it. This will save you a lot of frustration as it is often hard to work on your computer in cramped quarters. Then remove the screws on the outside of the case that hold the fan in place. There could be anywhere from two to six screws holding the fan. Put the screws where you can find them, you will need them to mount the new fan securely in place. Then open your computer case, remember to ground yourself by touching the exposed metal of the case before touching anything inside. This keeps static charges from damaging the circuits in the computer. Locate the fan you need to remove and gently move it as far as possible out of the way. Leave the power cables attached to it. Get your new fan out and transfer the power cables to the new fan, make sure all the cables are connected the same way they were on the old fan. When you have all the power cables connected to the new fan, move the old fan out of the way and insert the new fan. Use the screws you saved to mount the new fan securely in the case. You should be done, close the case up and connect the power and your fan should be working.